Rick A. 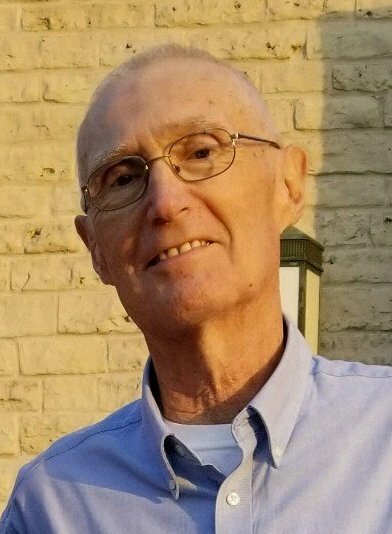 Van Roy, age 67, of Little Chute, passed away at his home surrounded by his loving family on Friday, October 19, 2018. He was born on July 26, 1951, son of the late Casey and Marge (Linsmeyer) Van Roy. On October 5, 1973, Rick married Eileen Verstegen at St. John Nepomucene Catholic Church, Little Chute. Together, they recently celebrated their 45th wedding anniversary. Rick enjoyed to travel, whether it be their annual trip to Door County, the many vacations with friends, or just going to the cottage in Lakewood. He loved to golf on Wednesday afternoons with his golf buddies and he enjoyed hunting. Rick was a devoted Catholic and a lifelong member of St. Johns. Most importantly, he loved his family. He was a wonderful husband, father and grandfather. Spending time with his grandchildren and attending their activities was his greatest joy. Rick enjoyed his position as a Parts Delivery Specialist for Kolosso Chrysler Dodge Jeep Ram. Rick is survived by his loving wife, Eileen; children: Brad (Kelly) Van Roy, Dan (Katelyn Witte) Van Roy and Katie (John Ruys) Van Roy; grandchildren: Ella, Brenna, Cole, Bryson and Aubree; brothers and sisters-in-law: Phil (Connie Zhang) Verstegen, Greg (Sheryl) Verstegen, Shirley (Ken) Meurer and Marsha (Mike) Zedler; an aunt, Josie Robinson; many nieces, nephews, other family members and friends. Rick was preceded in death by his parents; father and mother-in-law: Joseph and Charlotte Verstegen; and Shane Roche. Funeral services will be held at 5:00 p.m. on Thursday, October 25, 2018, at St. John Nepomucene Catholic Church, 323 S. Pine Street, Little Chute, with Msgr. Jim Vanden Hogen officiating. Visitation will be at the church on Thursday from 2:00 p.m. until the time of the Mass. Interment will be at St. John Cemetery. For online condolences, please visit www.verkuilenfh.com. The Van Roy family would like to extend a special thank you to Dr. Cheng, Dr. Badine, and Dr. Chaudhary and their staffs for all of the compassionate care that Rick received. Also thank you to the ThedaCare Cancer Center and Hospice for their wonderful care.